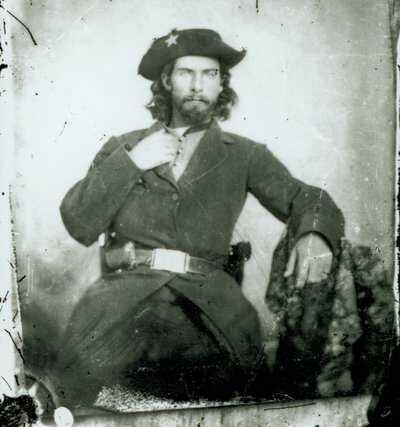 A sociopath who lived for spilling blood, William Anderson was one of the most fearsome leaders of Confederate guerrillas in Civil War Missouri. 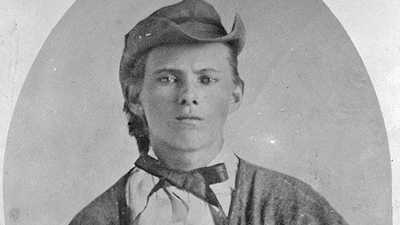 Jesse James joined Anderson's group in 1864 and soon learned to emulate his leader. "Bloody Bill" Anderson. Jesse James Museum. William Anderson was a tall, bearded man with piercing eyes often described as burning coals. He came from a family of horse thieves, dressed with panache, and when the Civil War started, he joined the secessionists. Although organized Confederate forces were driven from the state by early 1862, those still wanting to fight for the South could join several groups of "bushwhackers" operating in the countryside. These ruthless guerrillas attacked federal soldiers and terrorized Unionist civilians. Often wearing the uniforms of their opponents, and paying scant attention to the rules of war, they spread fear throughout Missouri. Anderson's group, only 80 men, was among the most notorious, known for decorating their saddles with the scalps of slaughtered foes. Anderson had never been one to abide by moral conventions, but when one sister was killed in a prison collapse in Kansas City and two others were injured, the bushwhacker became completely unhinged. Given the nickname "Bloody Bill," Anderson would charge into battle heedless of odds, showing no quarter and torturing prisoners by cutting off their ears. When 16-year-old Jesse James joined his brother Frank in the guerrilla ranks, he entered a small gang led by Archie Clement, a diminutive, utterly ruthless killer not much older than himself. Jesse admired Clement, and he followed his fellow teenager into Bloody Bill's band. There Clement quickly established himself as Anderson's chief lieutenant, distinguishing himself even in this bloodthirsty group for his savagery. Soon Clement was known to the authorities as "Bill Anderson's scalper and head devil." The impressionable young Jesse took Clement and Anderson as role models. He later described Clement as "one of the noblest boys, and the most promising military boy, of this age," and proudly called himself one of "Anderson's best men." The guerrilla war in Missouri was full of atrocity, but even against that backdrop, what Bloody Bill did in the small Missouri town of Centralia in September 1864 stands out. Anderson's men had stopped a train passing through there, only to discover 22 unarmed Federal soldiers heading home on furlough. When Bloody Bill found them, he ordered the soldiers stripped and systematically slaughtered in what one witness described as a "carnival of blood." The wounded were shot repeatedly, and their bodies were mutilated. But it didn't end there. Anderson and other bushwhackers then set an ambush for the troops sent to pursue them and killed 150 Federals in cold blood. Anderson and his men crushed faces, disemboweled corpses, took scalps, and cut off noses. It was said that no Union soldier ended up with the same head he had begun the day. And Jesse James was right there in the middle of it. Things got hot for Bloody Bill's men after the Centralia massacre. 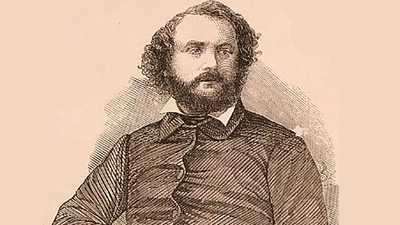 The furious Federals turned to a 36-year-old former army scout named Samuel Cox to hunt Anderson down. One month after the Centralia massacre, he succeeded, drawing the bushwhackers into an ambush near the village of Albany in Ray County. The Union forces killed Bill and several of his men, then put the bushwhacker's body on display in a local courthouse. Bloody Bill was gone, but the violence lived on in those he had mentored. 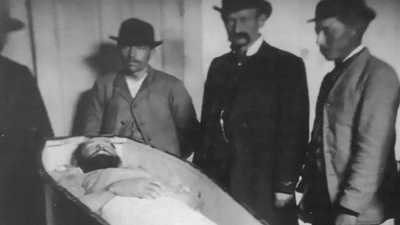 The murder of unarmed men became of hallmark of Jesse James' life of crime, and the motive for the 1869 Gallatin bank robbery, the first that Jesse was known to have committed, was James' desire to kill Samuel Cox and thereby avenge Bloody Bill's death. Thomas Crittenden finally brought Jesse down with the help of the outlaw's own gang.